Electrical wire connectors are electromechanical components that connect electrical lines. Therefore, the electrical parameters of the connector itself are the first consideration in selecting the connector. The rated voltage, also known as working voltage, mainly depends on the insulation material used in the connecting machine and the distance between the contact pairs. When some components or devices are below their rated voltage, they may not be able to perform their proper functions. The rated voltage of the connector should in fact be understood as the maximum operating voltage recommended by the manufacturer. In principle, the connector can work normally under rated voltage. The author tends to choose the rated voltage reasonably according to the voltage resistance (electrical strength) index of the connector, the use environment and the requirements of the safety level. That is to say, the same withstand voltage index, according to different use environment and safety requirements, can use different maximum operating voltage. This is also more in line with the objective use of the situation. 38A, the more the number of cores, the greater the reduction. Contact resistance refers to the resistance produced by two contact conductors in the contact part. Two problems should be noticed in the selection. First, the contact resistance index of connector is actually contact resistance, which includes contact resistance and contact resistance to conductor. Often conductor resistance is small, so contact resistance is called contact resistance in many technical specifications. Secondly, in the circuit connected with small signal, we should pay attention to the conditions under which the given contact resistance index is tested, because the contact surface will be accompanied by oxide layer, oil pollution or other pollutants, and the surface of the two contacts will produce film resistance. When the thickness of the film increases, the resistance increases rapidly and the film becomes a bad conductor. However, mechanical breakdown occurs at high contact pressure, or electrical breakdown occurs at high voltage and high current. 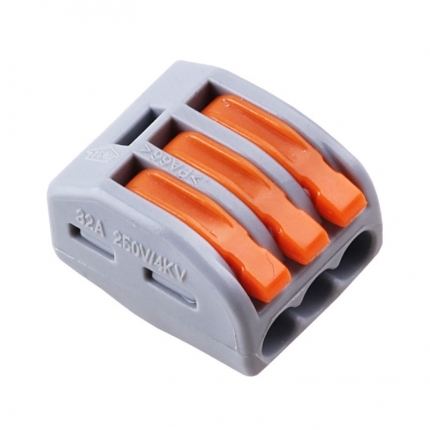 For some small size connectors, the contact pressure is quite small, and the use occasion is only mA and mV. The film resistance is not easy to break down, which may affect the transmission of electrical signals. Contact resistance-millivolt method, one of the contact resistance test methods in GB5095 Basic Test Rules and Measurement Methods of Electrical and Mechanical Components for Electrical Equipment, stipulates that in order to prevent the breakdown of insulating film on contacts, the DC or AC peak value of the open circuit electromotive force of the test circuit should not exceed 20 mV, and the DC or AC test current should not exceed 100 mA. In fact, this is a test method of low level contact resistance. Therefore, the selector with this requirement chooses the connector with low level contact resistance index. In modern electrical and electronic equipment, the increasing density of components and their related functions put forward strict restrictions on electromagnetic interference. Therefore, connectors are often enclosed with metal shells to prevent internal electromagnetic radiation or interference from external electromagnetic fields. At low frequencies, only magnetic materials can shield the magnetic field obviously. At this time, the electrical continuity of the metal shell is regulated, that is, the contact resistance of the shell. Any connector can not work without current, which has the risk of fire. Therefore, connectors are required not only to prevent ignition, but also to self-extinguish in a short time once ignited and ignited. When selecting, attention should be paid to the selection of electrical connectors with flame retardant and self-extinguishing insulating materials.